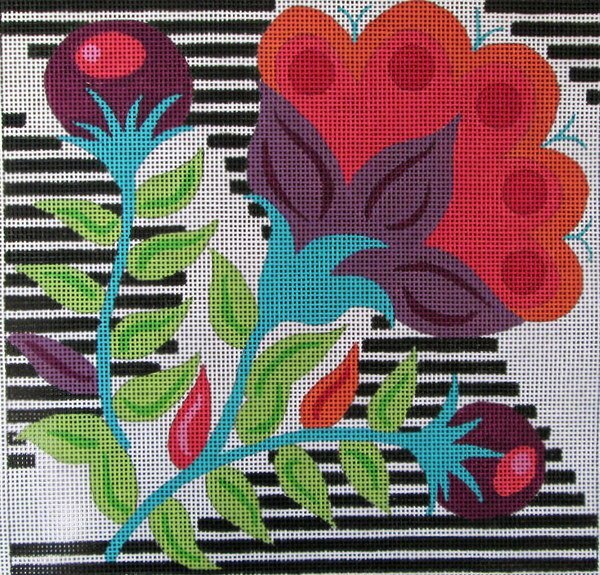 This contemporary Machelle Somerville Needlepoint Andi design is handpainted onto 13 mesh needlepoint canvas. You can purchase this design as canvas only or with threads. If you select cotton threads we will send DMC embroidery floss; if you select wool or silk we will send Planet Earth fibers that are single ply for 13 mesh canvas. If you wish to purchase stretcher bars we recommend two sets of 14". For shipping costs and information please see our shipping policy. Orders of $ 100 or more ship for free, even internationally.